We get a lot of crazy stories around here, and this one is right up there. It seems there was this multi-millionaire named Gerald Forsythe who purchased a pristine 500-acre vineyard in Paso Robles called Continental Vineyards. Planted in 1973, Continental had been the premier vineyard in the area and sold grapes to wineries up and down the state. Unfortunately, it had fallen in stature due to a number of ownerships that couldn't keep up with the pressure. Once Forsythe took the reins, he had the time and money to withstand any bumps in the business road. And he did. He withstood them to the point where he may have forgotten entirely about them. You see, while Continental Vineyards was making a lot of wine every year, they weren't selling it. Fast forward to them bringing us tens of thousands of bottles - going back six years! Naturally, we were interested but were concerned about the age. Those concerns were gone after we tasted the wines: nothing short of spectacular. Our selection is a six-year-old vintage that has been stored in the winery cellar since it was bottled. It's a testament to how some wines improve with age, based on their initial quality. Obviously, this is superior wine. Here is perfectly aged Cabernet Sauvignon from an incredible vineyard that still has years ahead of it. 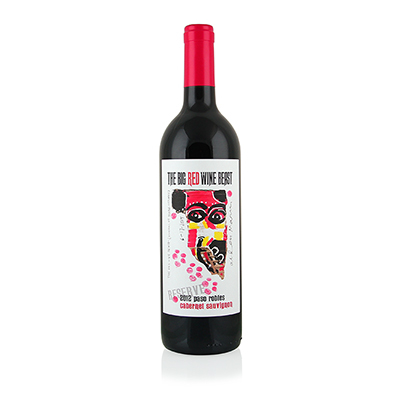 We start with the gentle aromas of cherry and blackberry heading into earth and leather. The mouth is full, rich and perfectly balanced from start to finish.